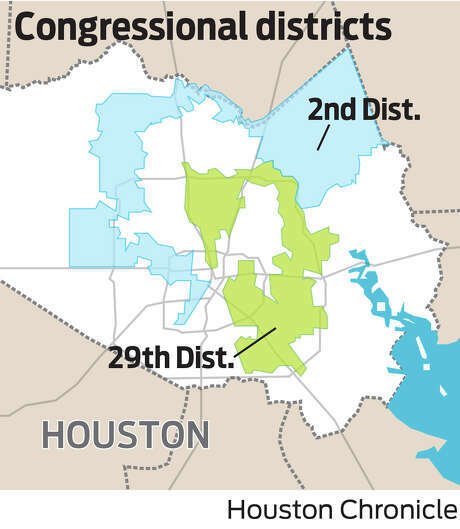 The funny shape of Gene Green’s district 29 is not due to packing Democrats, but instead trying to avoid placing black people in his district, which is intended to provide an opportunity for Hispanics to elect a candidate of their choice to Congress. His district wraps around Fifth Ward and Kashmere, reliably Democrat and mostly black areas, and even avoids taking in Pleasantville in east Harris County, because it is overwhelmingly black and reliably Democrat. Since blacks are almost always US citizens, and Hispanics are not, and since blacks, even low income blacks, vote at higher levels that Hispanics, the map drawers and US Department of Justice have long tried to protect Hispanic districts and politicians from being displaced by black Democrats. If Americans would simply stop voluntarily segregating themselves, we wouldn’t be criticizing or justifying gerrymandering anymore.